an artist known for his use of diverse materials and mediums to create installations, sculptures, and a variety of other conceptually based works. Primary concerns in his work include language, wordplay, miscommunication, social spaces, and studio practice. 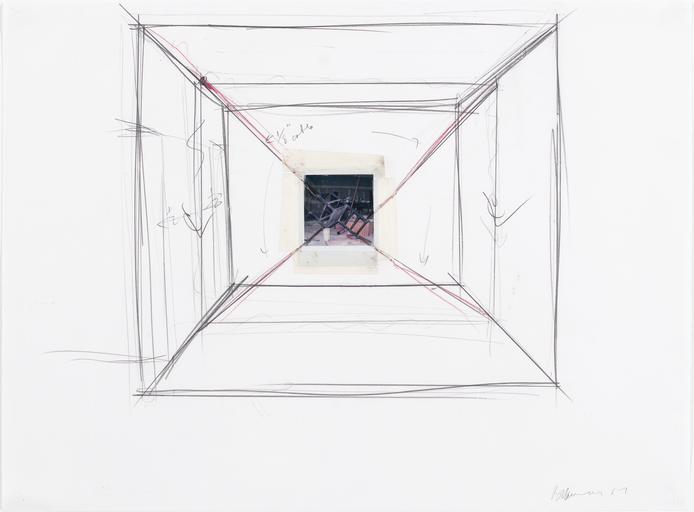 Born in Fort Wayne, Indiana, Nauman originally studied mathematics at the University of Wisconsin, Madison, eventually shifting his focus towards art, and received his BFA in 1964. Two years later Nauman received his MFA from the University of California, Davis in 1966, where he studied under the artist William T. Wiley. Generally recognized as one of the most important and influential artists of the 1970s, he was a central figure in the development of Post-Minimal and Conceptual art, and a pioneer in the use of neon and video in art. Primary concerns in his work include language, wordplay, miscommunication, and the nature of social spaces. He currently lives and works in New Mexico with his fellow artist and spouse, Susan Rothenberg.